De GRISOGONO lights up the Stars at the Cannes Film Festival As every year the Genevan Maison de GRISOGONO has presented its brand new High Jewellery creations in the prestigious suite “les Oliviers” at the Hotel Martinez. The magnificent suite terrace, overlooking the famous Croisette, hosted the most important stars of the Festival, personally invited by the founder of de GRISOGONO, Fawaz Grousi. The "de GRISOGONO" terrace has been the most admired meeting place of the Festival kermesse with music, champagne and wonderful jewels seducing customers and international stars, as well as the whole legendary cast of the movie "The Expendables 3". The extraordinary hospitality of Fawaz Grousi culminated with the night "Fatale in Cannes". 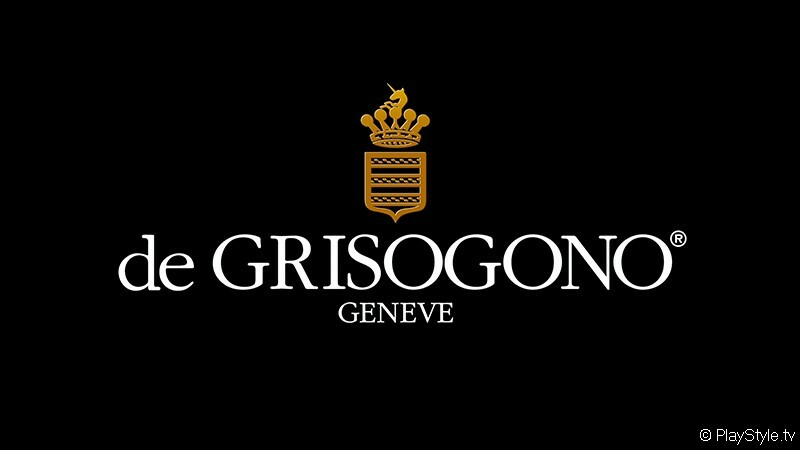 Never a name has been more appropriate for a de GRISOGONO party: the most awaited by the elite of the Festival! If a prize for the best party would exist in Cannes, de GRISOGONO would deserve the "golden palm" for the most enjoyable and trendy one. The famous Eden Roc in Cap d'Antibes has been the "Fatal" setting for the yearly appointment, seeing among the guests the most eminent international names of the jet set, cinema and show business. The legendary magic of the nights organized by Fawaz Grousi has immediately projected the guests in the exclusive and glamorous atmosphere which only de GRISOGONO creates for its events. Very elegant ladies, wearing haute couture dresses and blazing jewels of the Maison, accompanied by fashinating man, danced till late at night with the exiting rhythm of the international rapper Jason Derulo. In the wonderful sea terrace of the Eden Rock the manquin of the famous fashion designer Gyunel walked the runway with the exclusive and refined jewels, among blazing showcases since years featured by de GRISOGONO. As in every de GRISOGONO event guests, worldwide friends, stars and jewels had been the real protagonists of the night. Among the guests: Sharon Stone, Paris Hilton, Tamara Ecclestone, Eva Cavalli, Adrien Brody, Amber Heard, Ana Beatriz Barros, Cara Delevingne, Cheryl Cole, Jason Derulo, Justin Bieber, Natasha Poly, Riley Keough, Rosie Huntington-Whiteley, Rosario Dawson, Toni Garrn, Valeria Marini, just to name a few of them. Anche quest’anno la Maison ginevrina de GRISOGONO ha presentato le sue nuove creazioni di Alta Gioielleria al Festival del Cinema di Cannes nella prestigiosa suite “les Oliviers” dell’hotel Martinez. La magnifica terrazza della suite, affacciata sulla famosa Croisette, ha ospitato le stars più importanti del Festival, invitate personalmente dal fondatore della de GRISOGONO, Fawaz Gruosi. La terrazza “de GRISOGONO” è stata il luogo d’incontro più ambito della kermesse festivaliera con musica, champagne e strepitosi gioielli che hanno conquistato clienti e stars internazionali, così come tutto il cast degli attori americani più famosi, interpreti del film Expendibol 3 . La straordinaria ospitalità di Fawaz Gruosi è culminata con la serata “ Fatale in Cannes”. Mai nome è stato più giusto per il tema di una serata de GRISOGONO: la più attesa dall’ elite del Festival! Se esistesse un premio per il party più bello, de GRISOGONO si meriterebbe “la Palma” per la festa più divertente e trendy. Il famoso Eden Roc a Cap d’Antibes è stata la “Fatale” cornice per l’annuale appuntamento, che vede tra gli ospiti i più bei nomi del jet set internazionale, personalità del cinema e dello show business. La magia leggendaria delle serate organizzate da Fawaz Gruosi ha proiettato immediatamente gli invitati nell’atmosfera esclusiva e glamour che solo de GRISOGONO sa creare per i suoi eventi. Le elegantissime ospiti indossavano abiti audaci e sfolgoranti gioielli della Maison, e, insieme a tutti gli invitati, hanno danzato sino a tarda notte al ritmo coinvolgente di Jason Derulo, famoso rapper internazionale. Nella splendida terrazza sul mare dell’Eden Rock le modelle della famosa fashion designer Gyunel hanno sfilato con gli esclusivi e raffinati gioielli, tra le sfolgoranti vetrine espositive che caratterizzano de GRISOGONO da anni. Come in ogni serata de GRISOGONO gli invitati, gli amici arrivati da tutto il mondo, le stars e i gioielli sono stati i veri protagonisti dell’evento. Tra gli invitati: Sharon Stone, Paris Hilton, Tamara Ecclestone, Eva Cavalli, Adrien Brody, Amber Heard, Ana Beatriz Barros, Cara Delevingne, Cheryl Cole, Jason Derulo, Justin Bieber, Natasha Poly, Riley Keough, Rosie Huntington-Whiteley, Rosario Dawson, Toni Garrn, Valeria Marini, solo per citarne alcuni.